A newly opened Jollibee Dubai store is the Philippine fast food restaurant’s largest in the UAE yet. The fast-growing global company says the new outlet boosts the brand’s position in the Middle East market, where the brand has a ready customer catchment of OFWs. 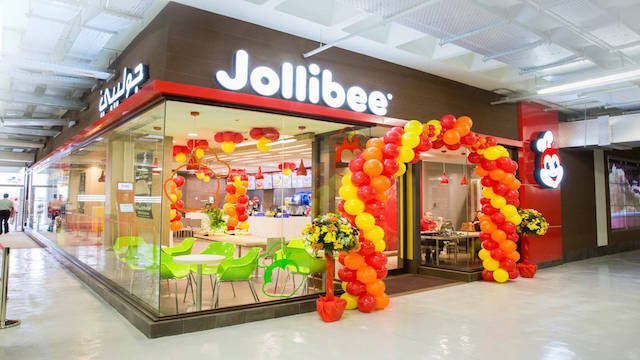 Jollibee’s new store, in Burjuman, is also its first standalone outlet in the UAE. Two other existing outlets are inside the food courts in Dubai Mall and Mall of the Emirates. Jollibee’s network includes more than 750 stores in the Philippines and abroad, in countries including Hong Kong, the US and Australia. The Burjuman opening created a stir like the one in Singapore when people formed long queues during the launch. “I passed by there around 1pm today and saw the crazy long queues at the parking lot,” said one Filipino expatriate.